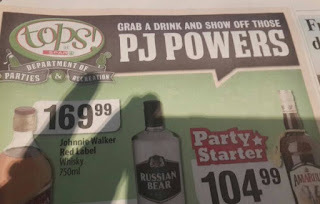 Liquor Ad - PJ Powers has taken on the Spar Group because Spar used her name in an advertisement for Tops Liquor Stores without her consent. She is a well-known recovering alcoholic and such publicity will damage her reputation, according to her manager. Spar said the advertisement was part of a larger campaign incorporating a pajama party theme. Spar has apologised if the advertisement was offence to anyone.